DimScreen is a small app that easily changes the brightness of your screens. 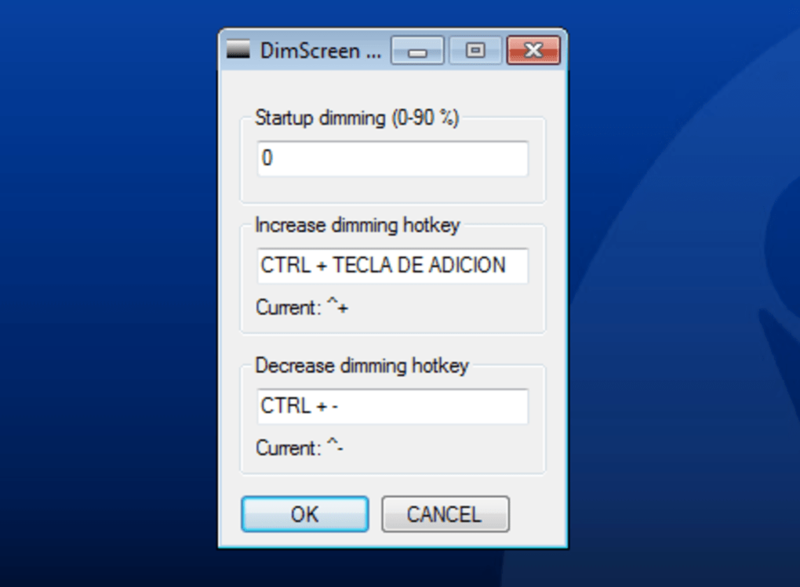 In laptops this is achieved thanks to two shortcuts (Fn and two function keys); it is in computers such as desktops, where these keys don't work or don't exist, that DimScreen proves its worth. 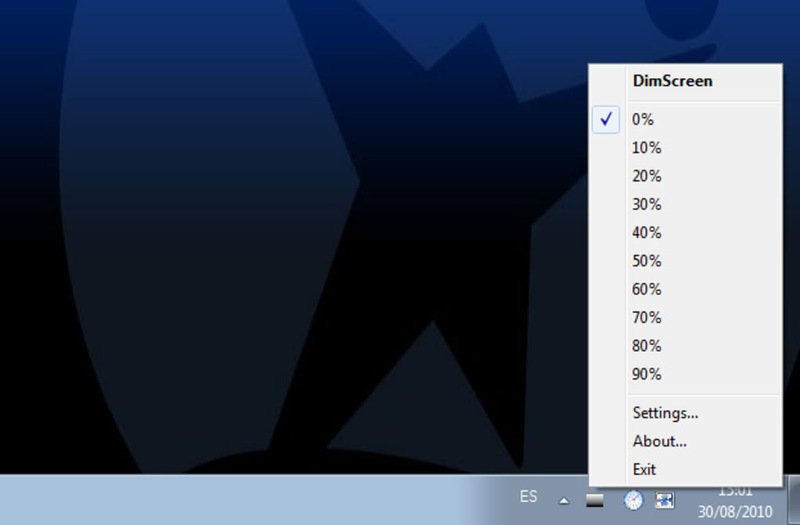 Since it does not require installation, the DimScreen executable can reside in any folder, such as the Home Folder. Right-clicking on the notification icon opens up the brightness selectionmenu, with ten different levels. 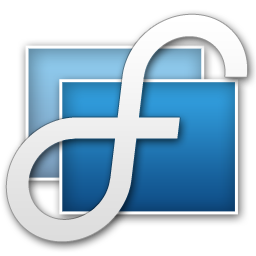 To help you locate the icon, DimScreen will automatically light up the menu.